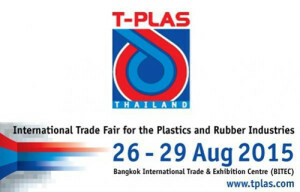 Davis-Standard will focus on solutions for medical tubing and cast film applications at T-Plas 2015, taking place in Bangkok, Thailand from August 26-29. In Asia, the demands for improved physical/barrier properties and lower operating costs drive structures to more and more layers, according to the company. In view of such trends, Davis-Standard has developed a new extrusion complex that allows converters to produce cast polyethylene (CPE) and polypropylene (CPP) while having the capability to process films with as many as six or seven layers. The company’s subsidiary in Suzhou, China also has an in-house laboratory that features a high speed flexible polyvinyl chloride (FPVC) extrusion system and multi-purpose microbore tubing line for customer trials and R&amp;D applications. The lab line is capable of speeds from 5mpm to 100mpm for processing 2mm to 8mm OD tubing with accuracy of +/-50u. Line components include an extruder, water-cooling, precision internal air supply, OD gauge and combination puller-cutter. without a stripe. It is equipped with two extruders, an OD/ID wall thickness measuring and controlling system, close loop control via vacuum sizing tank and puller, and a high level central control system.